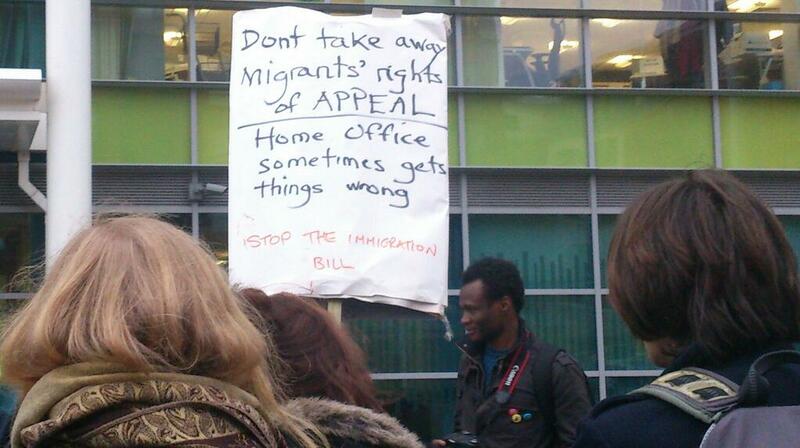 120 people demonstrated today in Sheffield against the Immigration Bill on International Migrants Day. Protestors held a rally outside Sheffield Town Hall with speakers from the Movement for Justice, People’s Assembly, Labour Councillor Mohammed Maroof, Green Party leader Natalie Bennett, church groups, Committee to Defend Asylum Seekers and migrants who had fought (and won) their right to live in the UK. Paul Blomfield MP for Sheffield Central sent a message of support.